Another important study in the language curriculum is syllabication. 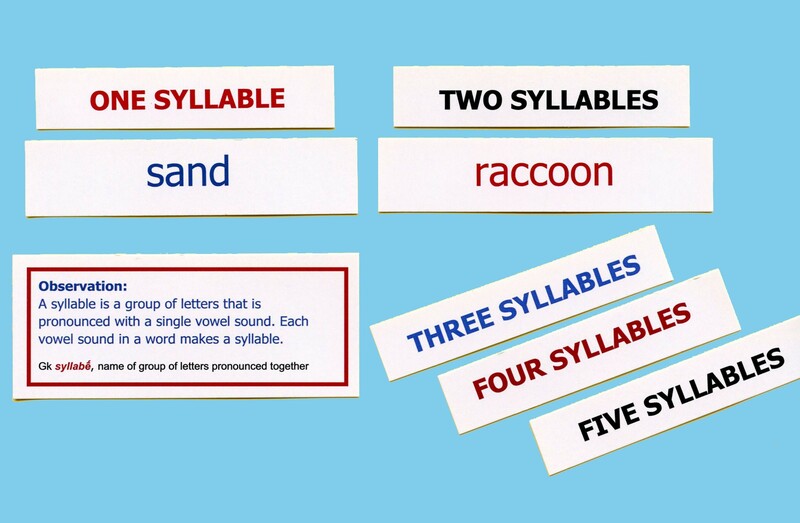 The series includes 12 exercises with simple syllabication rules and observations. The coded exercises are printed on (3.5”x.75”) card stock so that they can be organized in tackle boxes (not included). A control sheet is included. This work is coordinated with the Albanesi Curriculum Program (ACP). The printed notes of this Montessori presentation from our CME Teacher Preparation Course are available for purchase from this webpage. Please search for: Syllabication Exercises.